Have a list of phone numbers with you, you probably don't speak any Chinese so if you end up in trouble be sure to have the number of your country's embassy, if you have a travel insurance you must also have this number with you. Finally the schools number so you can call them if there is a change of plans, and you want to be picked up at Yantai station at another time. 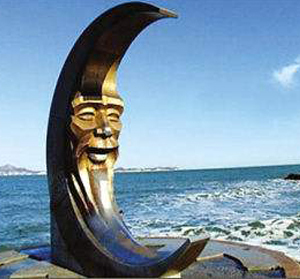 There are two ways from Beijing to YanTai : train and plane. 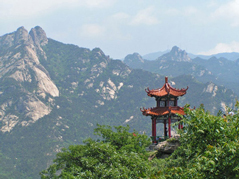 The first class starts at 6:20, it is Tai Chi class or/and Chi Kung class. Before this class the masters will expect you to run a short run, to get some stiffiness out of the leg muscles. This class starts with 10 minutes of running for warm up in front of the school. With a small dog annoying you each day, happily thinking that he makes you run. After the run there is leg stretching, I thought a lot about it while doing it, and I think that this is the exercise we do the most and important. We do that for up to 10 minutes and then up in the training hall for a complete body stretching and warm up. Wednesday its basics and forms in the morning and Sanda (kicking pats) in the afternoon; Thursday is basics and entertainment in the morning and bodybuilding in the afternoon; Friday is painful but result giving "power-stretching" in the morning and endurance practice in the afternoon (all the above is just the training of shaolin kung fu). There is a break in class from 10.00-10.30, on Mondays this corresponds with basics before break and forms afterwards. Lunch is 12:00 and is both plentiful and good. Because there was a lack of students when I was there I persuaded the cook to make me a personal bowl of soup each day, I just love soup. Sometimes he serves special stuff, often seafood, I think that is a trademark of Shan Dong's cuisine. Now it's time to a little grandpa nap.15:00 Its class till 16:45 or so (this is summer schedule). 18:00 is dinner, same food as for lunch. After dinner its every man to himself and you can choose Chinese lessons too. Some people often use the computer to watch movies on, sit outside and enjoy the afternoon or to go swimming (there is a pool near the academy) or go for a walk to help digestion. After a week or so the daily life becomes routine. I'd rather to keep a journal everyday to keep every day's training down which is helpful to the later training. Always strive for being better, faster and more powerful, that is what in the end will give you the results you want. 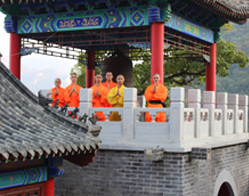 Masters will teach the students according to their interest, because some forms are quik and hard (such as Sanda) and some forms are slow and soft (such as Tai Chi and Qigong). It's not a rigid institution; the masters are actually quite flexible. 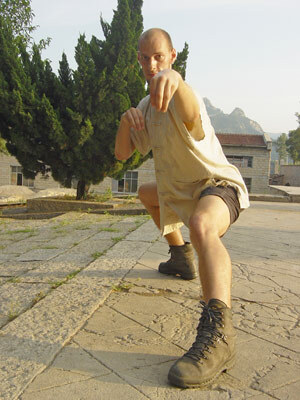 I came to China with 1 year of 2 times per week kung fu training. lot of things, instruction is the Shi fu's privilege, but encouragement is the students way to make each other progress faster, and have a better time doing it. I am 23 years old and study mechanical engineering. I have had the pleasure of training under master Wei for 6 months in 2002, and nearly 2 months in 2005. If you have any questions I will happily answer them. Luke Rolls (from England). July - October 2005. I've had a really good time living and training here. I am very grateful to the masters for everything they have taught me; they are true teachers and I feel privileged to have been able to learn from them. The school has a really nice atmosphere to it; outside class, the masters and students have a friendly relationship and can enjoy a laugh together. The place itself is beautiful, I've found it completely relaxing to live in the mountains and be so close to nature. The scenery here is amazing for walks and in the summer, you can even swim in the lakes. There is a small village nearby and it has a shop that seems to sell one of everything. Best of all are the fruit sellers by the road where you can buy fruit ridiculously cheaply, Mirko and I have often returned with more fruit than we know what to do with. 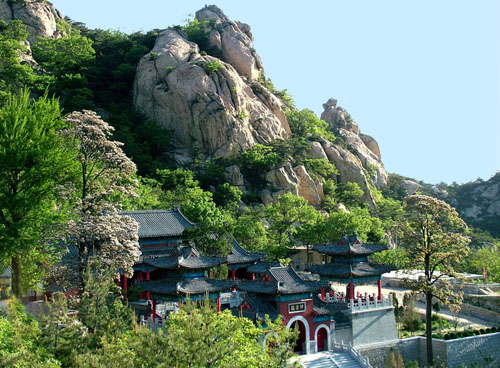 Yantai city is a bus ride away and there you can get everything, and as a big city, it's quite a contrast from the calm of the countryside. Training everyday is hard, intensive and it sharpens you up. Equally, it feels rewarding and worthwhile. Resting afterwards, you can feel really good. Living healthily becomes more important, particularly sleeping and eating well. The food here is nice, our cook does a good job. The accommodation is simple but fine with everything you need and the school is pretty helpful. You're looked after while you stay here and if you have some special requirement, they'll usually be able to sort it out. As a place to study martial arts, I highly recommend the school and the masters. The masters have taught foreign students for a long time, they can speak some English (quite rare in China) and above all, they are dedicated to their teaching. They really take a caring interest in developing their students and through their kindness, they effortlessly invoke deep respect from their students. 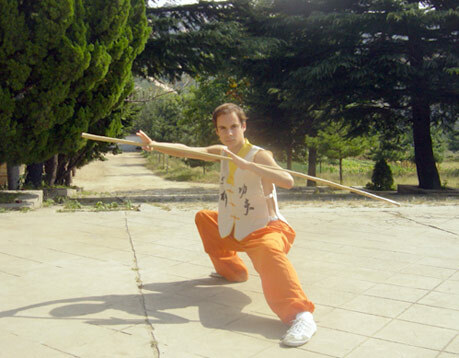 When I came to the school I had little experience in any form of martial arts, so I am a real beginner. I have learnt a great deal since I have been here and enjoyed every minute of it. The training here can be very tense, but you only get out what you put into it so always try your hardest. If you come here focused on improving and learning then you can have a great time at this school and learn a lot. I truly recommend this school to anyone no matter what level you are currently at. 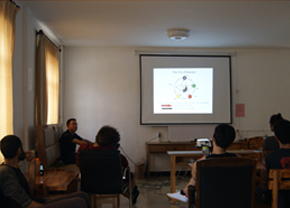 All the students here get along well together and have a great relationship with the masters in lessons and out, which makes the learning much better. Also I would like to thank all the masters for being so patient with the students and for making me so welcomed at the school and passing on their knowledge. I have not been here for a long time, but for month of training that I have been here I must say that it was one of the best experiences that I had in my life. Ever since I was a little kid and started to learn martial arts. 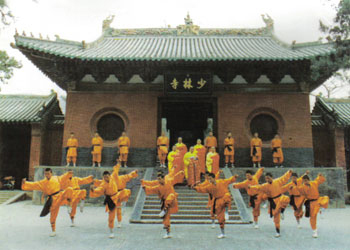 I dreamed of training kung fu in China with shao lin monks, but I never saw this for more than a dream. 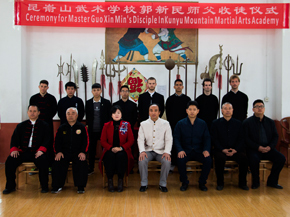 When the opportunity opened up for me to study in China (which was not long time ago), I looked for a school that can provide me with hard and serious but not exaggerated kung fu training. 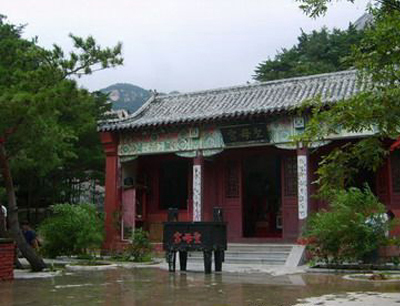 I came here with a wish to learn to learn real shao lin kung fu and improve my knowledge and skill in martial arts. And I must say that my wish has fulfilled above and beyond! 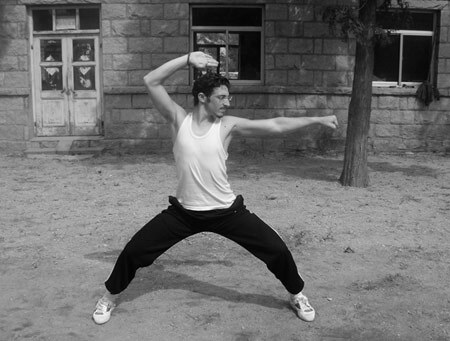 In only one month I learned well 3 forms of shao lin Gong fu, learned (and had time to improve) my basics of shao lin, finished my "Tai Chi 24 style", got very flexible (compared to how I came here) and in fitness. I have accomplished acrobatics that I never thought I could do, broke a brick, and developed a great basics for Mantis Boxing and Qi Gong. All those things in just 30 days of training! And my gratitude goes out to you! Thanks Master for the teaching of mantis boxing! Thanks to all of you! You have been great and kind to me. I learned a lot and mostly­­fulfilled my dream!